Jan! Jan! Jan! Am I the only one tired of middle children bemoaning their status, as if it was a birth defect for which they should be perpetually pitied? I believe that birth order does indeed impact our lives, but there are down sides for each sibling rank, not just the Jan Bradys of the world. I have been sensitive to this issue for a long time since one of my brothers, a middle child, has voiced complaints about his position for quite some time. Several years ago, during one of his whining sessions, I decided that an apt nickname for him would be ‘Jan’. He was not happy with this moniker, but our eldest brother and I found it endlessly amusing, adding to our arsenal of jibes that we use to keep our sibling in his place. 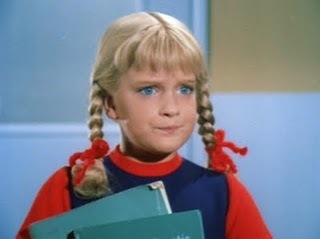 This affliction is officially known as Middle Child Syndrome, and is also drolly referred to as ‘Jan Brady Syndrome’. A search of the web and other blogs will produce hundreds of articles on this subject (see for example Seven angels, four kids, one family, Larger Families, The World Outside, and Roland’s Ramblings), so please take a look at these sources. The Middle Child Personality blog, for example, claims that middle children are prone to low self-esteem, jealousy, and a desire to seek attention and approval. Additionally, an article by Bègue and Roché asserts that there is evidence that middle children are more likely to be juvenile delinquents. However, others point out that ‘middles’ are more likely to branch out, away from parental expectations, creating their own path on which they thrive and excel. Indeed, the middle children of my family have done well, financially better off than or equal to their oldest and youngest brothers. Bègue and Roché go on to conclude that their observed differences due to birth order, or ordinal position, are partly an artifact of “differential parental control” – Duh!!! 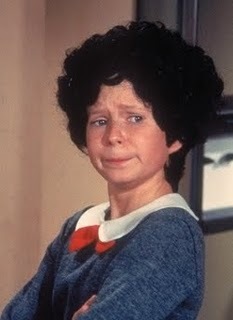 And the Middle Child Personality blog cites “identity crisis and lack of emotional support” as possible causes. Still others, like Judith Rich Harris, a psychology researcher, believe that birth order personality effects are only important within the dynamics of the family, and not a significant factor otherwise in life. All agree, though, that there are many other factors such as gender, social/economic status, and genetics that influence our personality much more substantially than birth order. Firstborns are also impacted by their ordinal position, and a review article by Dattner Consulting cites studies showing that they tend to enforce the status quo, often seeking to fulfill the expectations of their parents, while emphasizing rules, authority, and tradition. They also tend to be less open-minded and structure-oriented. On the positive side, firstborns are often more intelligent, and exhibit excellent leadership traits, which is especially true for firstborn women, and they are over-represented in the population of world leaders. And, of course, firstborns generally are not forced to wear hand-me-downs. As for myself, I am a ‘Cindy’. Apparently, my kind are spoiled, have no sense of responsibility, and suffer from inferiority complexes. Lastborns are under-represented in the population of world leaders, and we tend to be less intelligent since we do not have younger siblings with whom to explicate our knowledge base, which is called the “Tutor Effect”. But wait, there’s more. Lastborn males with older brothers are also more likely to be homosexual, with each older brother increasing a man’s odds of being gay by 28-48%, WTF!?! (see “Fraternal Birth Order and Male Sexual Orientation” in Wikipedia). There may be a biological basis for this, having to do with male fetuses producing an antigen in the womb, inducing the mother to produce antibodies that impact future male babies. Screwed again by my older brothers!